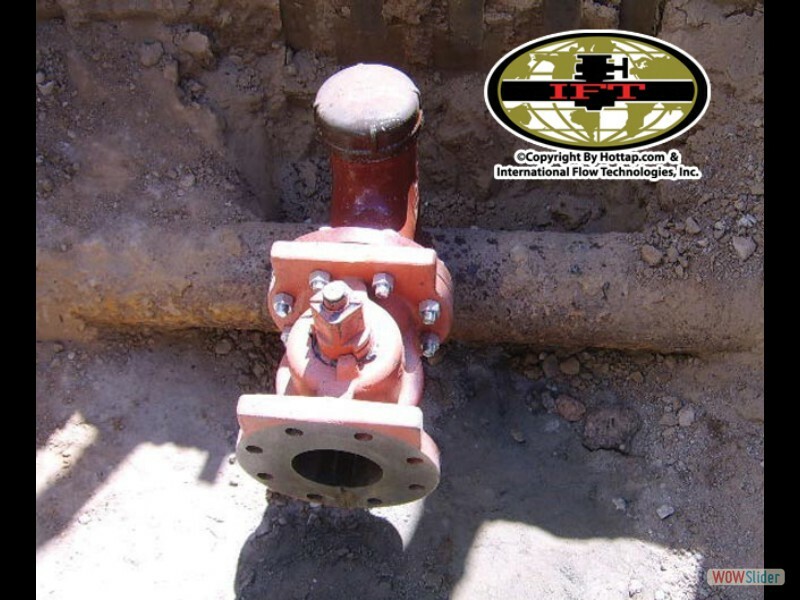 The IFT Tee Way fittings are used to make connections, primarily, to existing lines where a plug or butterfly valve is to be used as a main shut off for a new branch line. 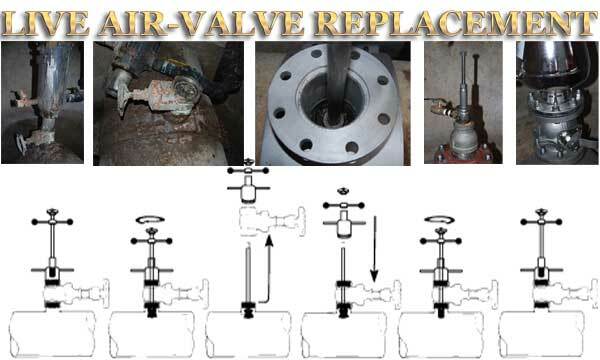 Since these types of valves do not have a round port to accept a typical shell cutter or drill bit, the hot tap is made straight down through the top and is sealed off with a completion plug and capped once complete. Before any work is performed, the O.D. of the line, pressure, and product shall be submitted to IFT's office. Prior to welding the assembly, the pipe coating is removed and the pipe is cleaned. 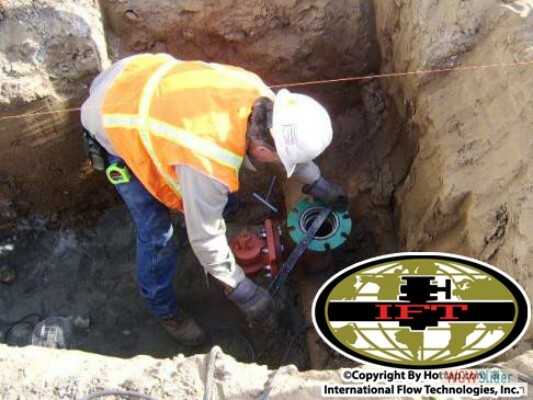 The IFT Tee Way is set and leveled on the existing pipe where the proper fit is then checked. 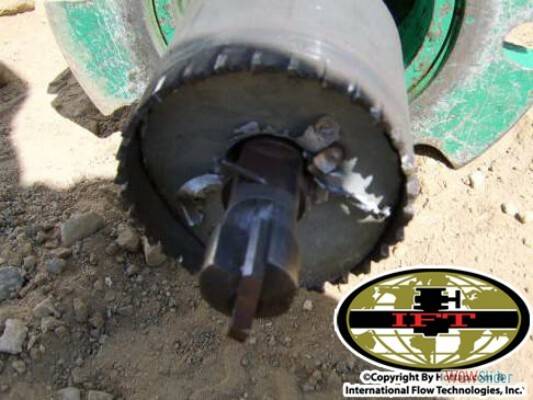 The fitting should have both the completion plug and cap in place during welding, to keep the fitting from warping, due to the heat produced. 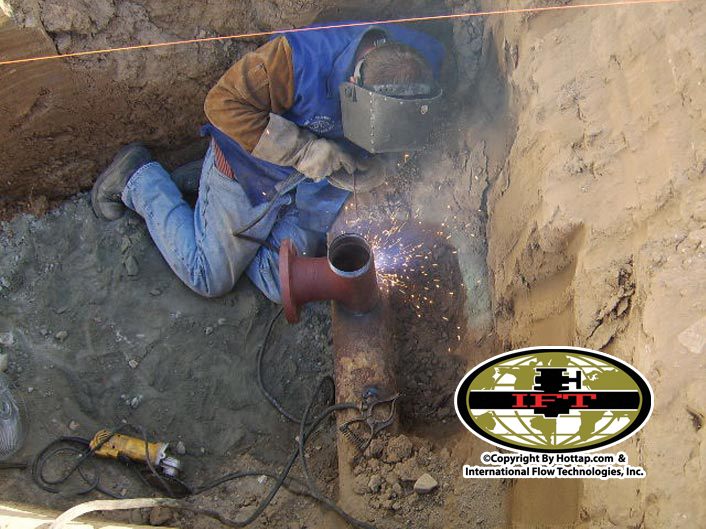 Before welding, both sides should be tacked so the IFT Tee Way will not be pulled to one side, and will stay uniformly straight. A minimum of three passes are required to fill the bevel, not including the root pass. (Only the outside of fitting is to be welded) Once welding is complete, the fitting shall be allowed to cool for approximately 15 minutes. The branch line valve is then installed in the closed position on the 90 degree leg. 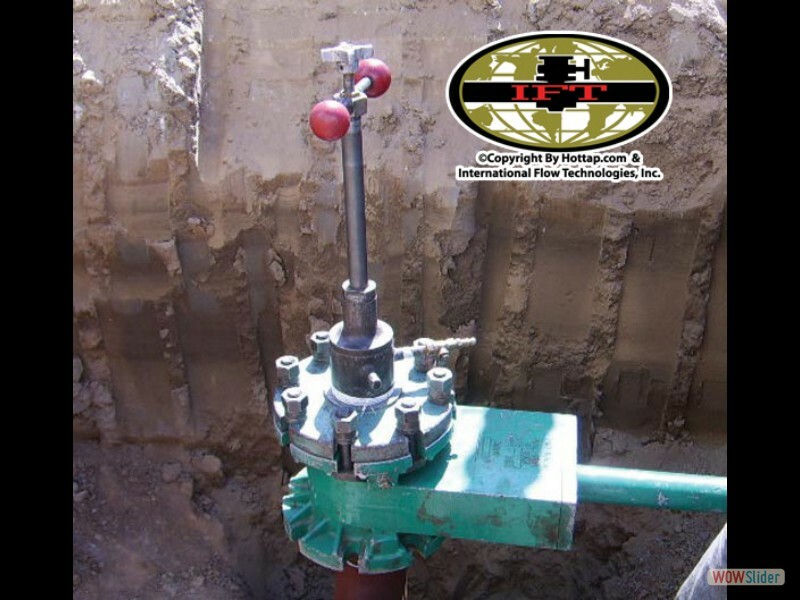 The cap and completion plug are removed and a temporary tapping valve is installed along with the tapping machine. Prior to hot tapping, the whole assembly is pressure tested with air or CO2, and a solution of soapy water is brushed on to check for leaks. Once it is determined to be a qualified weld, the hot tap is made. 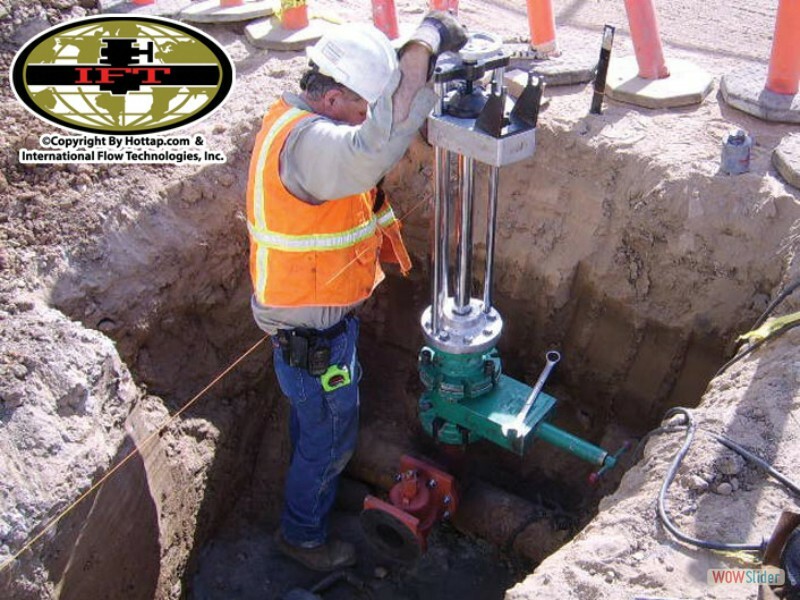 During tapping, the pilot drill penetrates the line, and as the product enters the chamber, air is bled off through a valve in the tapping machine. The valve is closed when product is noticed. 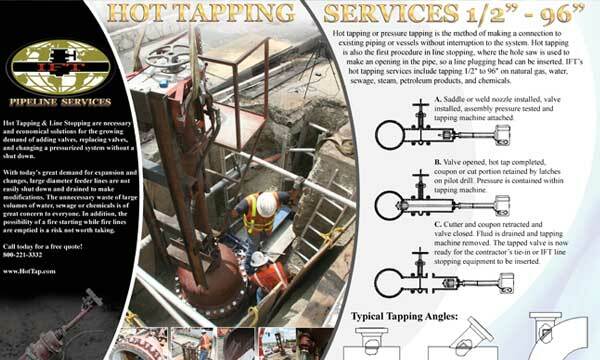 When hot tap is completed, the "cookie", or cut portion, which is normally retained by the pilot drill, is lifted out, and the temporary tapping valve is closed. 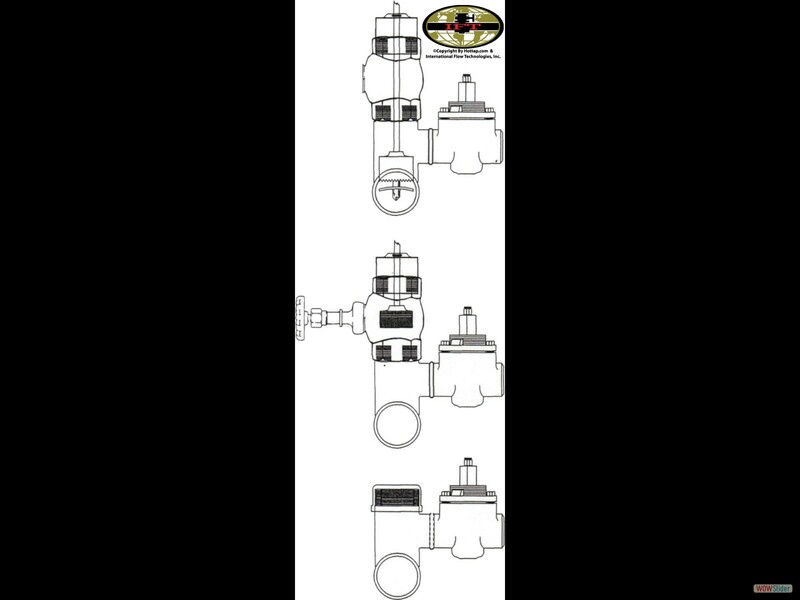 A completion setting device is installed in its place; and when the valve is reopened, the completion plug will be locked in place to shut off the product so the tapping valve can be removed. 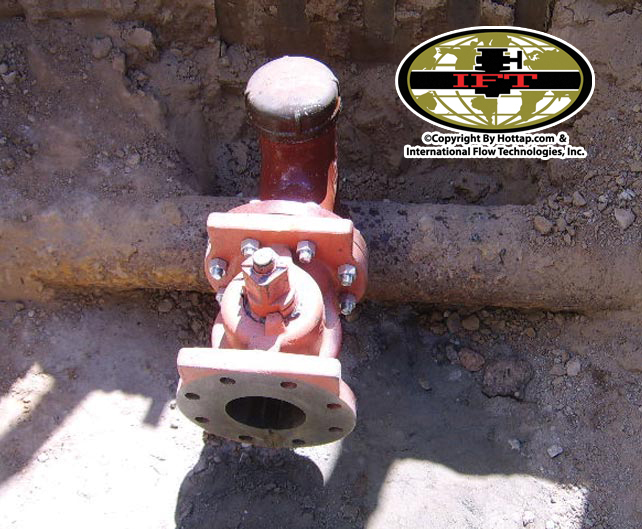 A cap or blind flange is installed to finish lateral tee procedures. 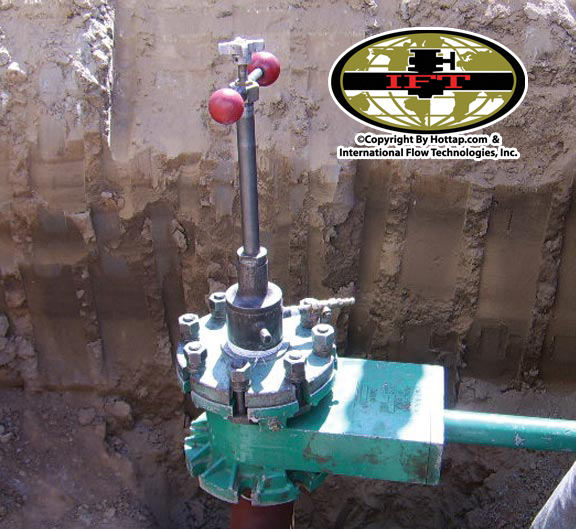 The branch valve is now ready to be used. 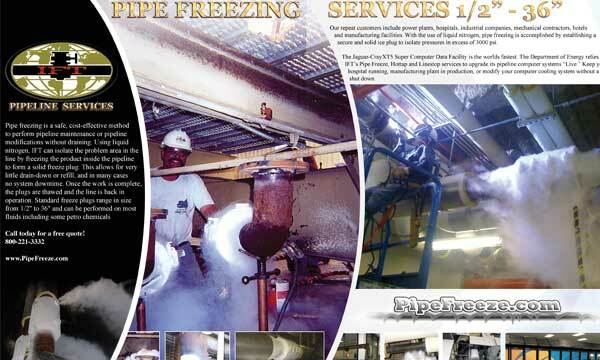 We can hot tap Tanks, Vessels, Conduite, Walls and Concrete Cylinders. 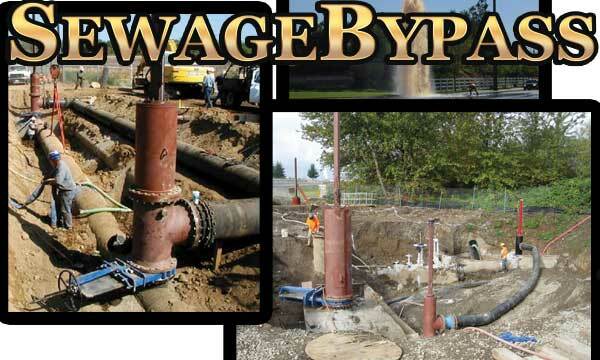 Hot taps, Line stops on all pipe types up to 72inch pipeline nationwide. 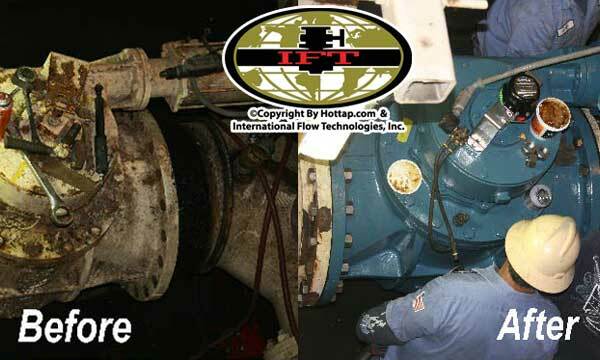 Valve replacment on all size valves live in the system with little to no downtime. 37 + Years of Wall Taps, Leadership and Innovation. 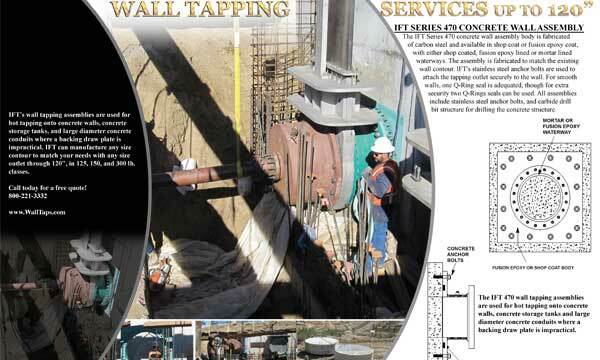 Proven to be one of America’s most Advanced Municipal & Commercial Wall Tapping Service Providers. 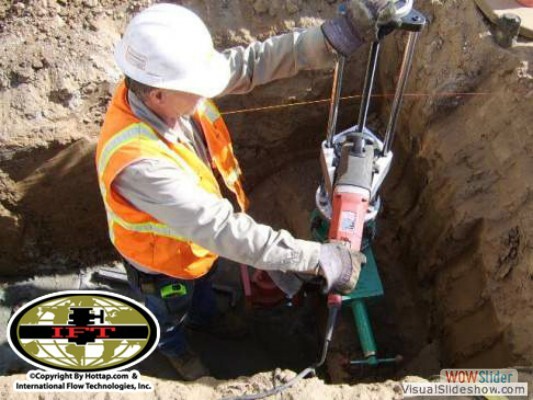 "We were impressed with Jason, he represented your company very well on the job in Yuma. We’ve had vendors/workers in the past who show up, fumble around and are not totally familiar with their equipment. Not the case with Jason, he was professional, prepared and jumped right in and got started." "I just wanted to take a minute to thank and commend you on your team selection and the gentleman who performed the work out here at NIH for us last week. Tom and his partner were on time, and performed their work with the utmost professionalism. This is a very high profile project for my firm and for NIH and your technicians made us look very good and in fact helped us solve a big testing problem." 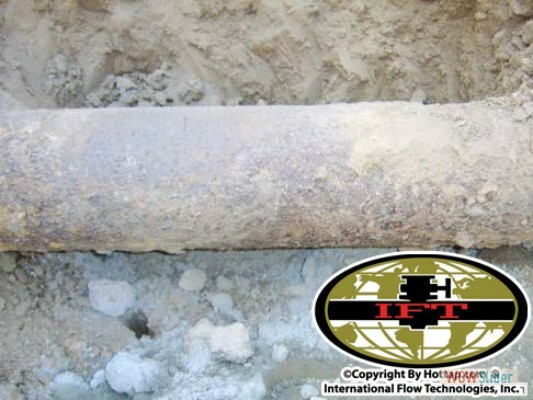 "City broke off a 2" air relief valve on a 16" ductile sewage pipeline with 45psi. 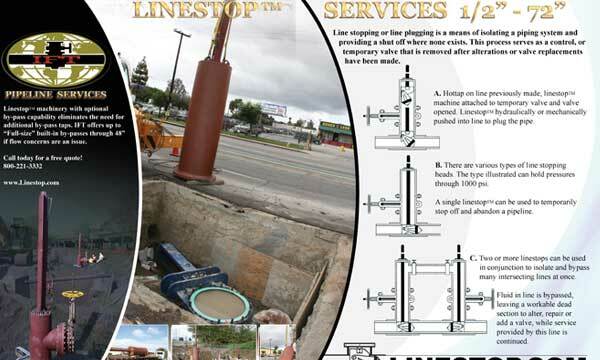 Before the valve could be replaced we had to rush out and complete a 16" linestop. The linestop was successful with a 100% plug. On the left is the thank you letter from the City ." © 2018 Internatinoal Flow Technologies. All rights reserved.